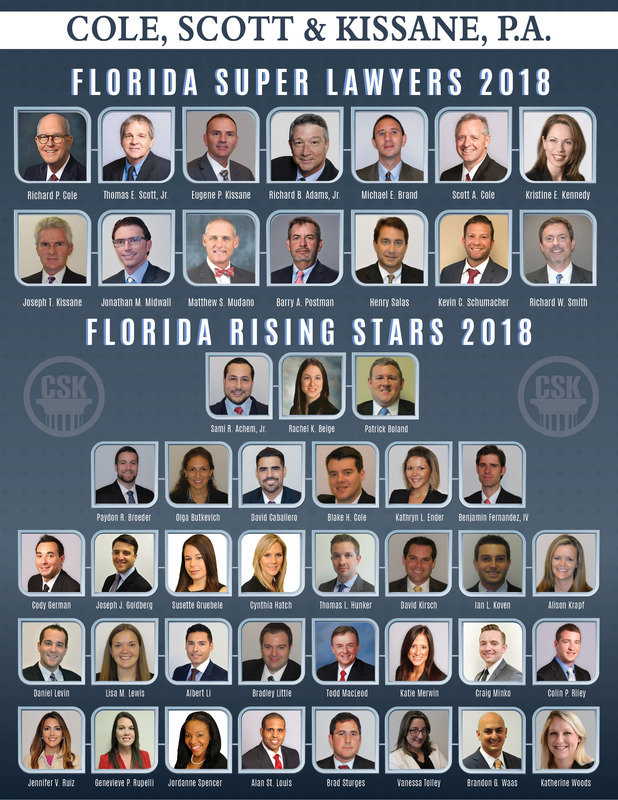 Cole, Scott & Kissane is pleased to announce the following members of the firm have been named as Florida Super Lawyers and Rising Stars 2018 by Super Lawyers® magazine. Many thanks for their hard work and dedication to our clients. Please join us in congratulating the following First Year Attorneys as the newest members to the Florida Bar.